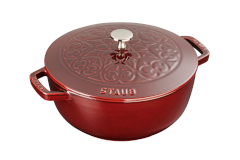 Staub enameled cast iron cookware is perfect for low heat cooking because it takes long to heat but retains an even level of heat for long periods of time. 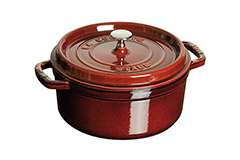 Great for stews, chilis, soups and all slow cook recipes. 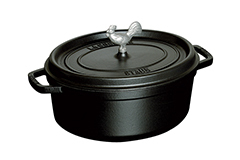 Cast iron pots retain heat better than any other material, including stainless steel and aluminum. 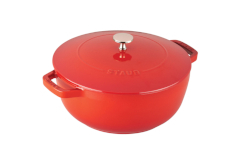 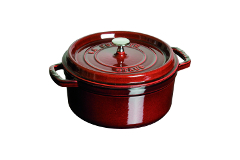 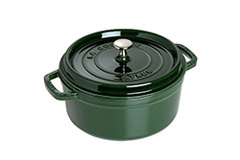 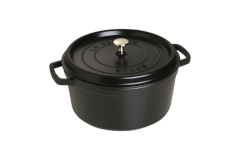 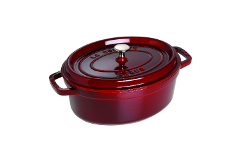 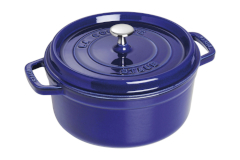 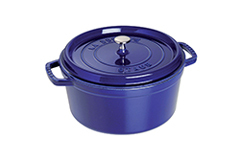 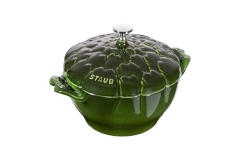 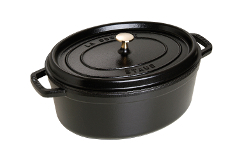 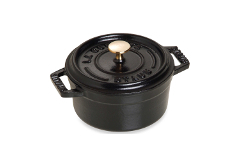 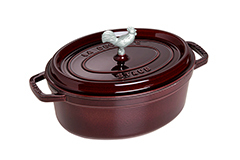 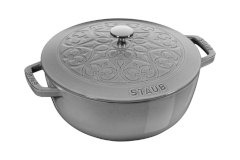 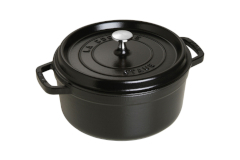 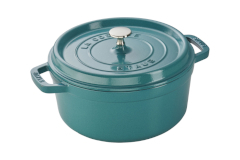 Staub cocottes are enameled on the inside and out and do not require seasoning. 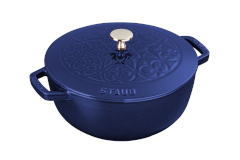 Because of unique "spikes" on the bottom of the Staub cast iron lid, moisture is distributed throughout, basting your creations for extra flavor and tenderness. 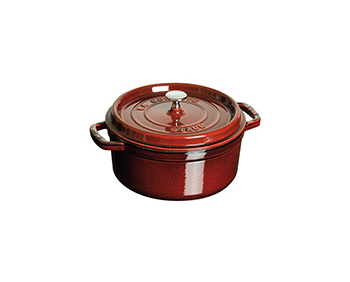 Less clean up too, since moisture doesn't just collect on the edges and then drip onto your cook top when you lift the lid! 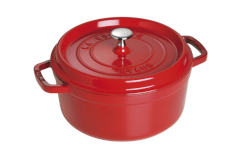 Choose from 2 shapes (round or oval), several sizes and multiple colors!